“Light Dome” is a light installation project by Har Hollands. This project is exhibited in combination with a spatial sound production by Augusto Meijer at GLOW Eindhoven 2016. The purpose of the sound production is to enhance the spatial effect. “Last year, the project Light Dome, created by the Eindhoven light artist Har Hollands, was still under construction and could be seen in its first raw form. This year, we can enjoy the fully completed light installation as it had originally been designed. With this quality impulse, the owner of the Heuvel shoppping center, CBRE Global Investors, enhances the attractiveness of Eindhoven as a shopping city. And it bears witness of the vision that they chose for a permanent light installation under the big dome of the Forum, so appropriate to Eindhoven City of Light. Structural vacancy is an international problem, which includes cities like London, New York or Tokyo. “Ruimtekoers” is a new initiative from a network of urban pioneers based in Arnhem (The Netherlands). They will present a public program from March 14th / April 11th 2015, packed with innovative interventions. The problem of vacancy will be used to bring the city to life. Available spaces are literally lit with green LED lighting and projections. The HyperCube installation is a part of the program. DGTL Festival is back in 2015! The Amsterdam festival – renowned for it’s line-up, art and sustainability program – returns to the NDSM Docklands. During the Easter Holiday over 80 artists from around the world showcase the best of innovative electronic music. Headliners include popular international acts like Jamie Jones, Maceo Plex, Dixon and Ten Walls and underground masterminds such as Michael Mayer, Move D and John Talabot. Combined with an extensive art and awareness program, DGTL Festival 2015 is the perfect start of the festival season. Expect innovative stage designs, art installations from around the world and sustainable innovation through our DGTL Revolution project, which has been awarded a two out of four star rating by ‘A Greener Festival’ last month. 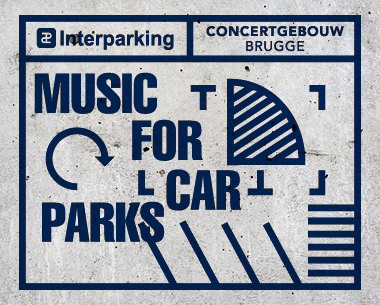 Augusto Meijer was a finalist for the exciting “Music For Car Parks” Competition! An expert jury comprising professionals with international experience anonymously evaluated the many submissions. 10 finalists were chosen during a preliminary selection round. From these 10 works, the jury subsequently selected the winning entry of the Music for Car Parks composition competition, along with the second and third prize winners. On 9 May the Bang on a Can All-Stars perform Brian Eno’s Music for Airports in Concertgebouw Brugge. In connection with this wonderful concert, we are now searching for MUSIC FOR CAR PARKS: a soundscape that relaxes and/or stimulates the car park user, ambient music that turns every visit to an Interparking car park into an artistic experience. Anyone with musical talent who is interested in composing a soundscape for this project can take part in this competition between 1 February 2013 and 15 April 2013. The only condition is that their music subtly stimulates the car park user and provides an added value not offered by the ubiquitous and hackneyed Muzak.